The ICIS PE USA price forecast report, produced by the ICIS Consulting team, provides an ‘at a glance’ view of the market to support your short- to medium-term decisions. As well as providing a wealth of useful data on current and historical prices, the report includes the forecast prices for both Polyethylene and Ethylene, for the following 12 months, to help you understand where prices are heading. ICIS Dashboard subscribers who receive the price forecast report will be able to access monthly price forecast curves on the ICIS Dashboard with commentary from our analysts, alongside up to 12-months’ worth of historical prices. The ICIS Polyethylene (PE) USA price forecast report features a concise, easy-to-read 4-page format that includes all the details needed to support you in making confident commercial decisions within the USA PE market. This report covers current and forecast prices, raw materials prices, supply, demand and capacity information, regional import and export data, trade flow forecasts, and margins. To discuss the methodology applied and to understand more about the forecasts, subscribers to the ICIS PE USA price forecast report can talk directly to the report author – ICIS consultant, James Ray. 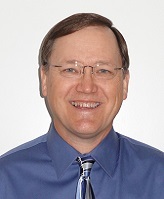 James Ray has worked in the Plastics Industry for private equity firms in manufacturing, converting and recycling polymers for blow molding, extrusion and injection molding as well as textiles. Recent focus has been in purchasing, dealing with billions of dollars’ worth of products, as this is where the bottom line can be influenced the most. 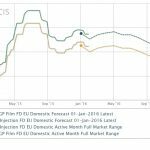 The ICIS Polyethylene (PE) USA price forecast report is an essential tool in making buying and selling decisions. By subscribing to the report, you will be able to stay ahead of your competition by getting the information you need to assess the market in the short-to-medium term. Talk directly to the report author – ICIS consultant, George Martin.